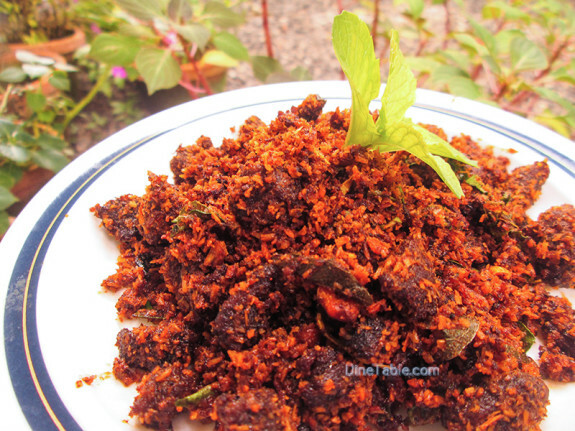 Beef Podi Masala / Beef Fry With Roasted Coconut Masala / Nadan Kerala Style Beef Recipe / ബീഫ് പൊടി മസാല is a spicy and hot non vegetarian side dish infused with roasted coconut and spices that gives it a different flavour. 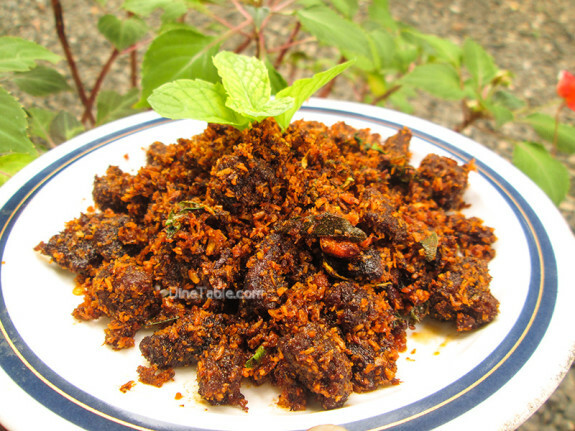 It is an authentic Kerala style recipe that goes well with Plain Rice, Appam etc. This is a perfect treat for meat lovers. Beef is a good source of vitamin B12, phosphorus, iron and zinc. Recent studies shows that certain fatty acids found in Beef can prevent cancer by hampering tumor growth. It also helps to prevent iron deficiency. Heat 2 tbsp of coconut oil in a pan and add grated coconut, whole black pepper, fennel seeds, fenugreek seeds, cardamom, cinnamon, shallots and cloves. Roast it well untill it becomes golden brown in colour. Let it cool for 3minutes. 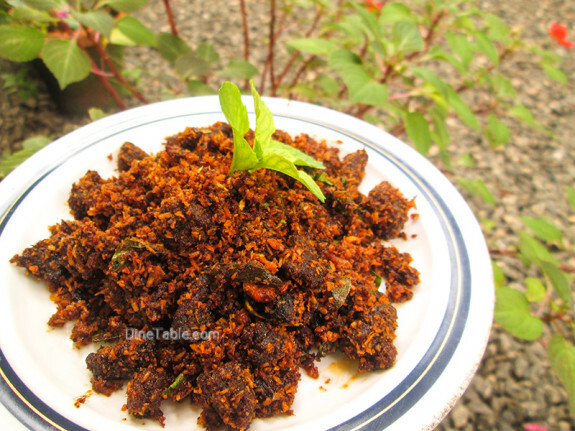 Grind this roasted mixture to a fine powder without adding water. Clean and cut the beef into small cubes. 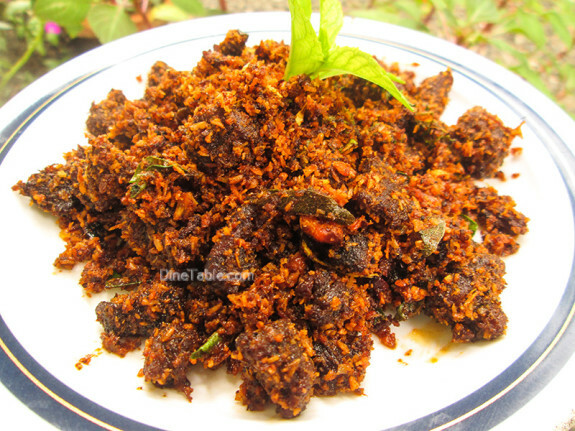 Take a bowl and add beef, red chilly powder, coriander powder, turmeric powder, chopped onion, ginger garlic paste, curry leaves, salt and marinate for 5 minutes. Heat a pressure cooker and add marinated beef, 1/4 cup of water and pressure cook it till the beef is done. Open the lid, if there is excess water then dries it completely. Heat 4 tsp of coconut oil in a pan and add the cooked beef and stir for a few minutes. Add the ground coconut masala, curry leaves into it and mix well. Fry the beef on a low flame for 5 minutes. 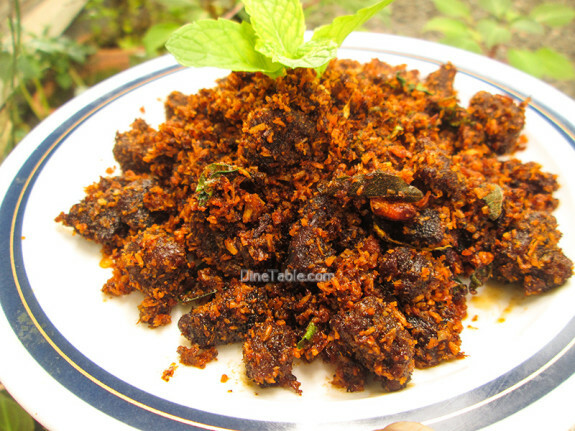 When the roasted coconut powder starts separating from the beef, add pepper powder and mix well. Switch off the flame. 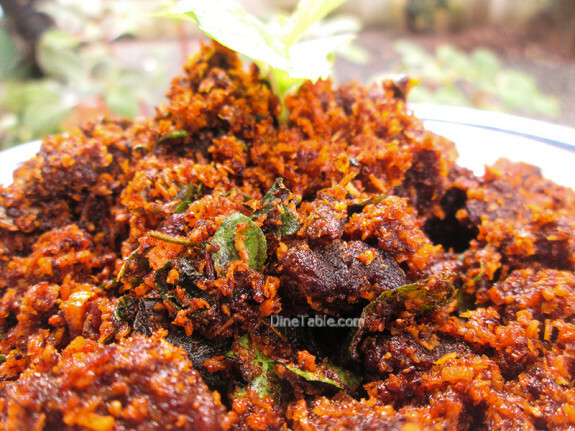 Tasty Beef Podi Masala is ready.